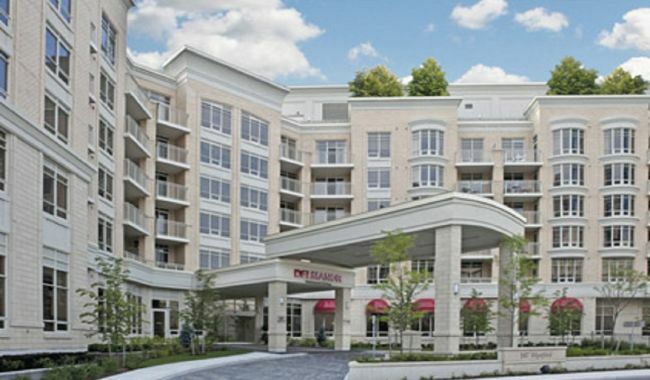 Opened in 2010, this retirement residence incorporates the best of high rise living a la Tridel. Inside you'll find spacious lounges and rooms, a movie theatre, a spa and beauty salon, five-star dining with attentive service, a library, a pub, and everything else you need (and more) under a single roof. Outside, there are beautifully landscaped terraces and courtyards, in a gorgeous neighbourhood that mixes greenspace with local shopping, and easy access to transit and major highways. This place is perfect for mature adults who want a fresh start or a new beginning, (even if you don't realize that's what you want). If you've ever dreamed of living in a luxurious hotel year round, this is the place for you. Stepping into this residence will instantly dispel any notions you may have about seniors' communities. Across all Delmanor retirement residences, the LivingWell program is very successful at getting seniors re-focused on their personal health. The program uses individualized coaching and goal setting to create a holistic approach to well-being. It targets typical senior health risks like falls, etc., and the program's popularity means you will share in this with your fellow residents and friends. Various lounges and fireplace rooms make it easy to find people to hang out with, get together and do things together. 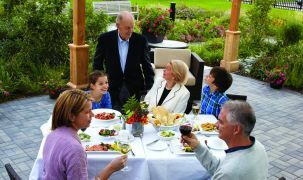 Chef-prepared meals combined with a la carte choices make every dining experience extraordinary. Suites are very spacious and up-to-date, equipped with granite countertops and kitchen accoutrements including a full size fridge, microwave and washer-dryers. 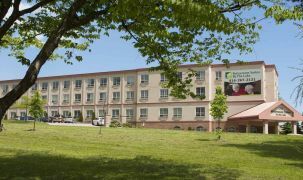 Typical retirement community conveniences like housekeeping are well-covered. 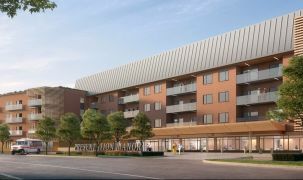 One of the first retirement communities in the Toronto area to follow the green rating system established by Leadership in Energy and Environmental Design (LEED). [So many great people] live here. It's a very interesting group.